Such a lovely happy color…it is relaxing and can take on many different personalities depending what colors it is paired with. It works flawlessly as the primary color and perfect for home decor accessories. Does this vision relax you even before the bath is drawn? Really right! This is what I call the picture perfect shade of Lavender. It can be a color that is overwhelming but when it is accompanied by a fabulous light wood floor…what tub and the perfect accents…it turns into magic! 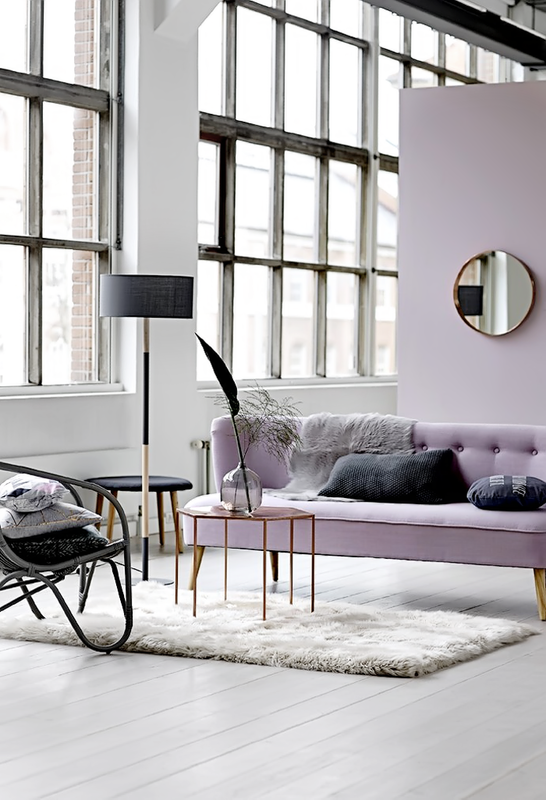 This gorgeous Lavender Sofa is stealing the show over at BlogLovin’ and it is complimented with a lighter shade of lavender wall…a perfect harmony. 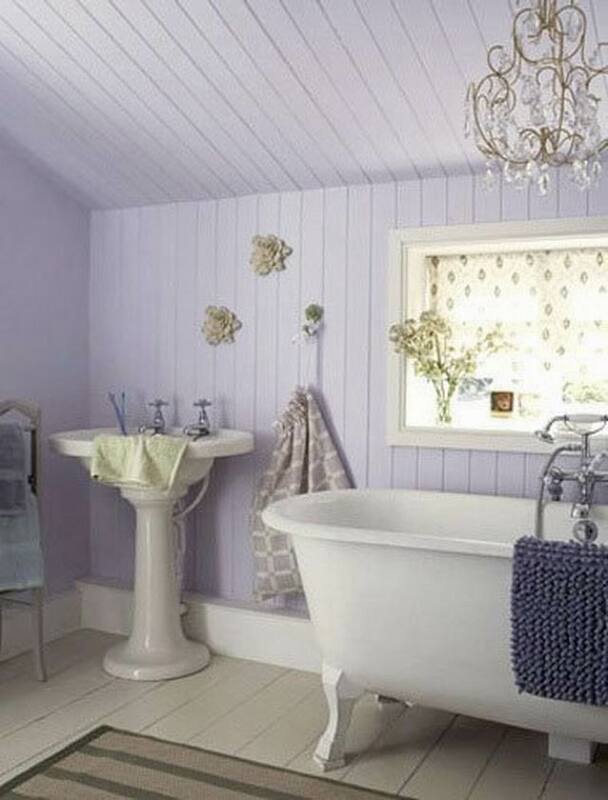 Here is another Lavender Bathroom that takes Lavender to another height…check out the ceiling! Still looking fabulous! A great look from Architectural Design. 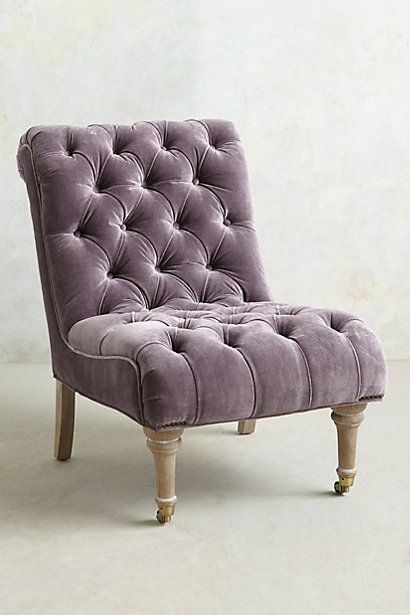 Sometimes it is just the perfect color accessory that you need…this chair could be anywhere and the room would look amazing! I would love to see this in a room with extremely light lavender walls…a gorgeous wooden desk…the perfect accessories and art…a book case that would organized me to perfection (like that’s possible : ) and call it my Blogging space! 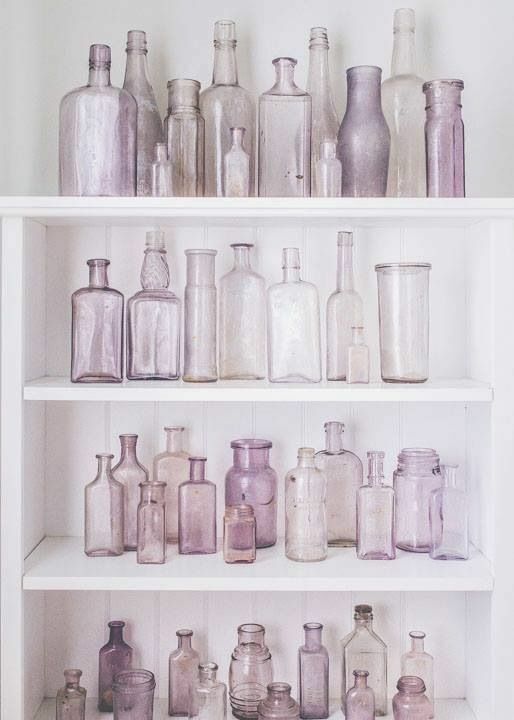 Wouldn’t a collection of Lavender Glass Bottle be the perfect accent to any room? Hope some of these colors inspired you. We sill be exploring others and other Trending Home Decor Styles for 2017…so stay tuned!